CHICAGO—“If we want to break the school-to-prison pipeline, if we want to abolish the prison-industrial complex, if we want to create schools that nourish the intellectual imagination of younger generations, then we have to dismantle the structures and ideologies of racism, and we need to start right now.” That was the message radical activist, philosopher, and professor Dr. Angela Davis brought to a meeting of educators and activists at a “consciousness-raising” event sponsored by the Chicago Teachers Union Foundation on June 16. This year’s state-by-state uprisings of teachers demanding a better public education system perhaps owes its inspiration to an earlier, and continuing battle, waged by the Chicago Teachers Union (CTU) in their monumental strike of 2012, led by labor leader Karen Lewis. They helped put the spotlight on the profit-driven attack on public schools and through their philanthropic arm, the CTUF, they are still at it. 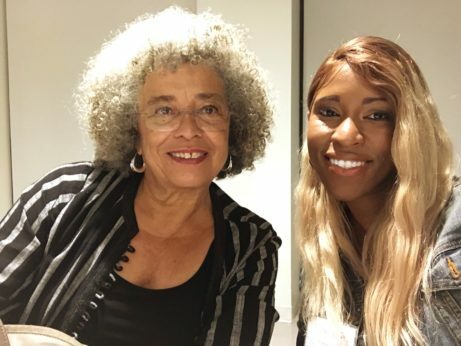 The intersection of struggles around education and the juvenile and adult criminal justice systems was the topic of the event featuring Davis, who pinpointed the systemic oppression and exploitation at the heart of the matter. “We have to be clear what our work is, not just as Chicagoans, but as citizens of the world,” Stovall said. His intro served as the perfect lead-in for Davis’s remarks on the intersection of schools, prisons, and the disposability of people under capitalism. Davis said Chicago teachers and education activists are on the front lines of a fight with national and global implications. “The safeguarding of education from privatization, commodification, marketization, and however else you want to convey the relationship [of education] with capitalism,” she explained, is essential in protecting the democratic right to education. “If you take democracy seriously, then you have to take education seriously as well, because at its best, education allows for the practice of democracy. The classroom should be a space where students learn how to practice radical democracy. But we are witnessing the exact opposite trend. [We are witnessing] privatization of schools, and deterioration of education as a public good,” Davis argued. Davis explicitly made the connection between global capitalism and neoliberal ideology and the attack on education. Understanding this larger context makes it possible to connect “the assault on youth, especially youth of color, the escalation of misogynist violence, the rise of gun violence, the deterioration of housing and schools, and the use of incarceration as a strategy of amnesia to the problems of racism, Islamophobia, poverty, and a whole host of other domestic and global issues,” she explained. Davis said twenty years ago simple slogans like “education not incarceration” and “schools not jails” were standard, but the movement failed to sufficiently realize at that time the “particular way in which schools in Black and brown communities were being retooled, so as to produce a human product that had nowhere to go but through the pipeline of the juvenile justice system or the prison system more generally.” She stressed the need to embrace transformative strategies for not only the justice system, but for the educational system as well. Davis also discussed the usefulness of the strategy of intersectional feminism for dealing with systemic oppression under capitalism. “Connections are denied in popular political discourse,” she noted, bringing up the correlation between various political happenings since the 1970s, from attacks on working people and labor unions to the emergence of the prison-industrial complex. “Privatization of everything; schools aren’t alone,” she said. “Feminist approaches are important because they help us understand affinities and relations—especially in cases that appear to reveal disconnections and discontinuity,” she explained. Many of these struggles that may seem unrelated are in fact linked. Stressing the need to challenge the structures and ideologies of racism—whether in schools or in prisons—Davis emphasized that the elephant often in the room but not discussed is capitalism. 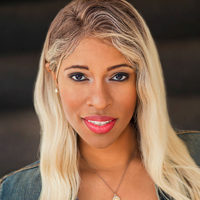 “It is this capitalism that continues to rely on racism for its capacity to justify super exploitation and to create surplus disposable populations that can be disregarded, incarcerated, subjected to police violence and torture,” she said. 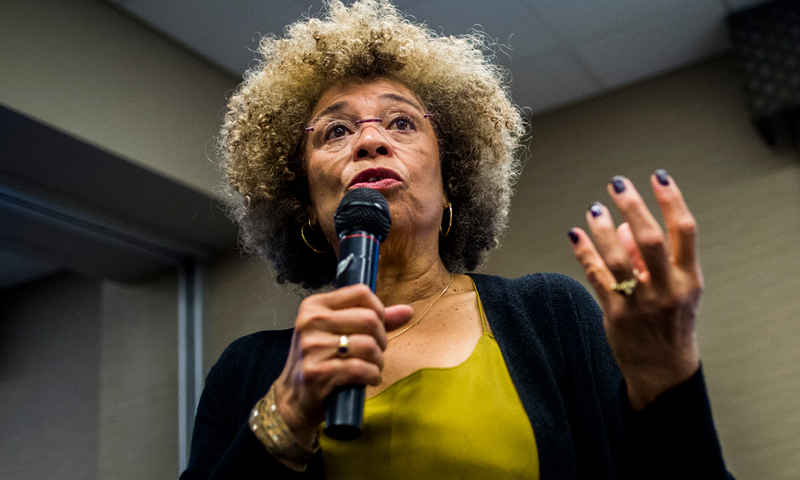 Davis explained that the abolitionist approach to the prison-industrial complex was about abolishing the conditions, such as systemic oppression, that lead to the creation of the pipeline in the first place. In a conversation with People’s World immediately following her talk at the CTUF, Davis offered specific political advice to young women who have been galvanized by the recent movements of #MeToo, #TimesUp, and other struggles for equality on and off the job. “It’s important to allow the realities themselves to speak to them when organizing,” she said. When addressing the problem of capitalism, People’s World asked Davis how to introduce discourse around an alternative to the current system. “That’s where organizers come in. Organizers have to create a popular vocabulary and a way of thinking about capitalism that will allow people to give voice to the frustration they already feel,” she answered. 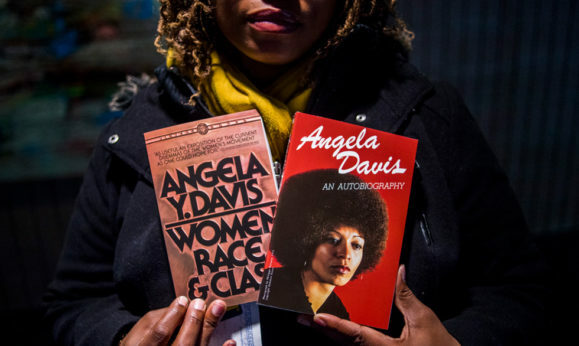 Angela Davis’s most recent book, Freedom Is a Constant Struggle: Ferguson, Palestine, and the Foundations of a Movement, is out now from Haymarket Books. Her Autobiography is available from International Publishers.